A United Nations working group is getting into the fray on U.S. racial discrimination. 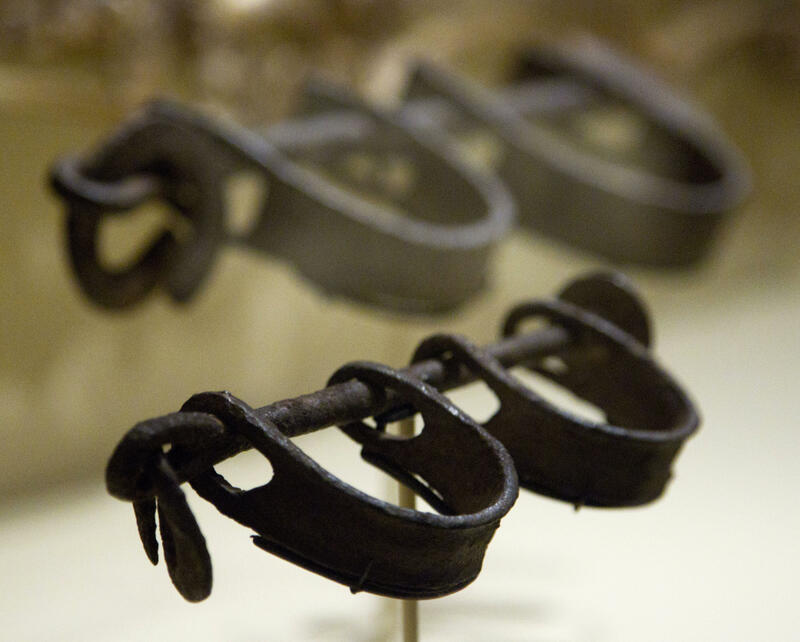 After 14 years, and 20 days of speaking with U.S. officials, activists, and families of people killed by police in major American cities, it has issued its conclusions: the slave trade was a crime against humanity and the U.S. government should pay reparations. “Contemporary police killings and the trauma it creates are reminiscent of the racial terror lynching in the past,” a French member of the working group of U.N. experts, Mireille Fanon-Mendes-France, said after their meetings in the U.S. The U.N. experts traveled to major cities including: Washington D.C., Baltimore, Jackson, Mississippi, Chicago, and New York City. In Washington, they met with the Department of State, the Department of Homeland Security, the Department of Housing and Urban Development, the Department of Health and Human Services, the Department of Labor, the Department of Justice, the Environmental Protection Agency, and the Equal Employment Opportunity Commission. In Baltimore, they met with Maryland federal judges. In Jackson, they met with officials of the Office of the Mayor and the Office of the Attorney General of the State of Mississippi. In Chicago, they met with the Attorney General of the State of Illinois, and with representatives of the Office of the Mayor of the City of Chicago and the Chicago Police Department. And, in New York City, they met with the Office of the Attorney General of the State of New York. Racial divisiveness is a front-burner issue in the U.S. and was a major topic during the presidential debate Monday night for candidates Hillary Clinton and Donald Trump. The recent decision by Georgetown University to offer several hundred descendants of slaves preferential admissions has raised the profile of reparations for the slave trade. And, several years ago, both the U.S. Senate and House, in separate bills -- which never was passed as law -- apologized for slavery and Jim Crow legislation, but were divided over the issue of reparations. The U.N. doesn’t often weigh in on U.S. domestic policy. But, the “Working Group of Experts on People of African Descent,” was created 14 years ago. Today, it is part of the Human Rights Council, under the umbrella of the U.N. High Commissioner on Human Rights (OHCHR). It has its roots in the controversial Durban conference in 2001 (during the era of the now-ended U.N. Commission on Human Rights). At that time, the Administration of George W. Bush withdrew from the conference about these very demands for reparations for slavery, among other issues. “The group urges a serious consideration of a full formal apology, repatriation, cultural institutions, public health initiatives, African knowledge programs, psychological rehabilitation, technological transfer and debt cancellation,” he added.